It seems like another world, thinking back to when I choked down my first IPA. 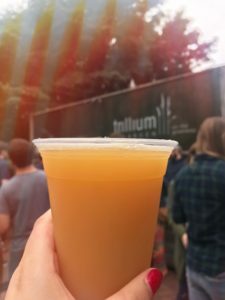 At a time when most college students were opting for whatever was the cheapest and easiest to consume in large quantities, my friends and I were exploring the burgeoning brewery scene. There’s no denying I wasn’t immediately sold on craft beer, and to this day I still struggle through some of the heavier options, but regardless of my tastes I can always count on a brewery to be a good time. Boston is home to a quite famous brewery called Samuel Adams. Perhaps you’ve heard of them. 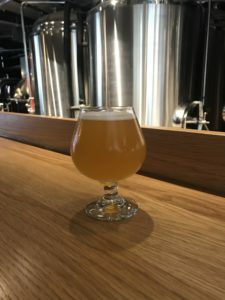 But the greater Boston area is also home to a number of smaller, lesser known craft brews that I’ve had the pleasure of getting to discover during my time here (so far). On my first weekend in Boston I jumped right in to my beer adventures. 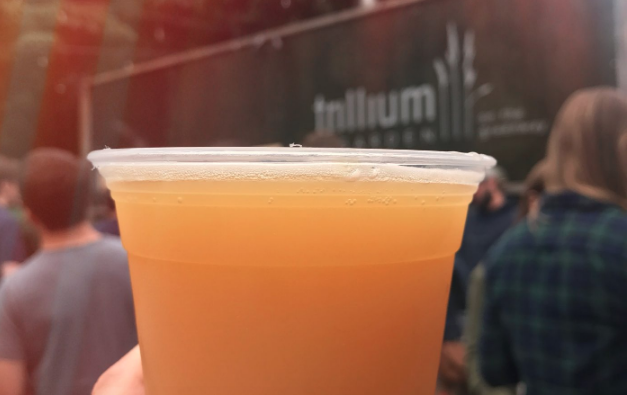 Making the most of the limited nice weather days, I visited the Trillium Beer Garden on the Greenway. Picnic tables and white lights welcome beer drinkers to sit outside, embrace the greenery right in the city, and enjoy some of Boston’s best beer. The official home to Trillium, located in Fort Point, is open all year round. However, don’t go looking for a brew on tap– they’re not able to pour you a taste, but you can grab a few cans to take home. 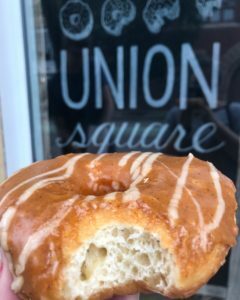 Next up, I was on a mission to try Union Square Donuts after seeing them plastered all over Instagram. Yet, it was the poor decision to drive to Union Square in Somerville on a Saturday morning that actually led us to Remnant Brewing. Having to park farther away meant walking right by Bow Market while en route to donuts. 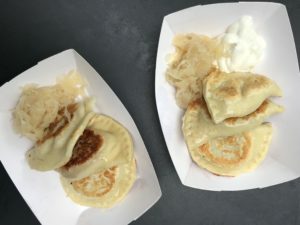 Curious about this mysterious little courtyard, I derailed the donut mission and discovered two amazing things: 1) Jaju Pierogi & 2) Remnant Brewing. The space at the brewery is unique, due in part to the Bow Market structure, allowing for ample outdoor and indoor space. Plus, there’s both beer AND coffee on tap. Name something better. I’ll wait. Remnant is the kind of place where you can feel comfortable posting up outside on an afternoon with a book and beer, or sitting along the taps and making conversation with the bartender. 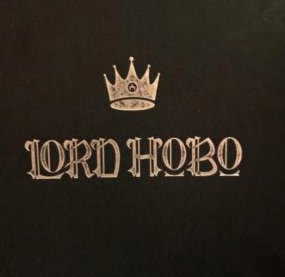 However, when it’s time for an evening out with the beer snob of your friend group, I present: Lord Hobo. Lord Hobo Beer Bar is the sister restaurant and tap room to the Woburn, Massachusetts based brewery. Located near both the Kendall and Central T stops, Lord Hobo’s Beer Bar offers an amazing selection of brews, both their own and others on tap. Before you go, be sure to check the menu. With such a great selection, there is plenty of option for everyone, but some of the beers can get a little pricy. With bottle prices ranging from $5 to $120, consider this a warning to fully read the menu! 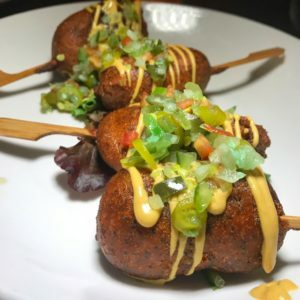 A Little Snack At Lord Hobo: Corn Dogs! 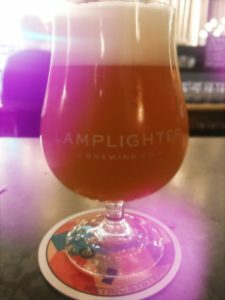 Just down a couple blocks from Lord Hobo is Lamplighter Brewing Co. which I was excited to check out on a Saturday night. Something I love about going out to a brewery is that there is never any pressure to dress up or get hammered. I enjoy being able to go and enjoy my night without feeling uncomfortable or overwhelmed. 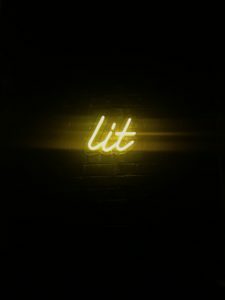 At Lamplighter, I fell in love with the decor and the vibe that it gave off. Unfortunately I was only there long enough for one beer. Fortunately I will have plenty of opportunity to go back and try the rest. On the other side of town, just outside Fenway Park, is Cheeky Monkey Brewing Co. where we spent the majority of the evening packed near the bar. It was only right before we were about to leave, that I realized the brewpub expands much farther than just the initial bar space, complete with billiards, pingpong and shuffleboard! Needless to say, I will return. While I have been to Harpoon Brewery before, I have yet to visit as a local. 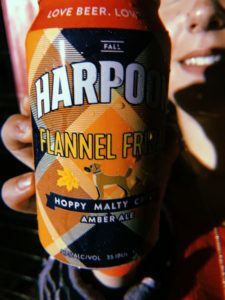 Although I did attend their Flannel Friday event at The Lawn On D in South Boston, I will wait until I visit the actual Beer Hall again to fill you in. Up next: A full docket of breweries in the area including Cambridge Brewing Co., Night Shift Brewing, Aeronaut Brewing, and Dorchester Brewing Co. Have you been to any of these spots? If you have, let me know which one I should head to next! P.S. Don’t forget to follow along on Instagram! Oklahoma (By Way Of Boston’s South End)?